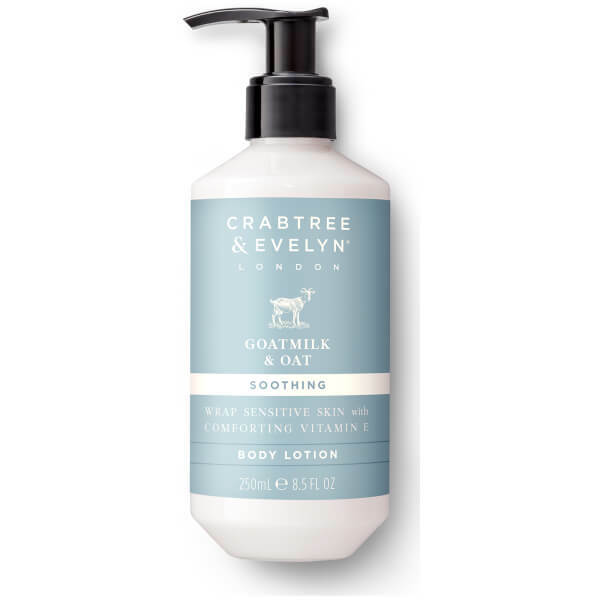 Wrap skin in a comforting cocoon of moisture with the Crabtree & Evelyn Goatmilk & Oat Body Lotion; a sumptuously smooth treatment specially developed for dry, sensitive skin. Rapidly absorbed, the creamy yet fluid formula combines emollient-rich Shea Butter with free-range Goat’s Milk and Oat Kernel to deliver deep moisturisation and intensive soothing properties. Instantly, skin feels comfortable and replenished, with a supple and softened texture. Complete with a clean, fresh scent. Massage into skin regularly with circular strokes.